$1500 split between team members. $1000 split between team members. Bose SoundLink Speakers for each member of the winning team. A Chromecast and Google Home Mini to each member of the winning team for the best use of Google Cloud Platform. Amazon Echos to the top 3 contributors. Arduino Unos for every member of the winning team. Orange Pi Zeros for every member of the winning team. Pizza party for you and your friends! BB-8 robot for each team member. Trip to the Google NYC office and lunch with some engineers. Come spend the night building and learning with us! 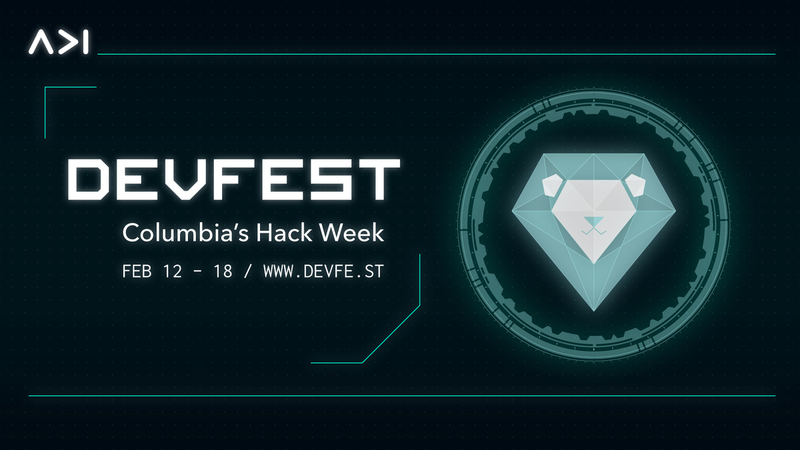 DevFest, Columbia's annual week-long festival of learning and hacking, ends with a hackathon, where you get the chance to apply what you've learned and create something awesome. The DevFest 2017 hackathon will kick off at 1 PM in Roone Auditorium -- come to see our sponsors demo their APIs and talk about the prizes they will be giving! The hackathon begins officially at 2 PM in Roone. Submissions are due the following morning at 11 AM. Project demos will take place from 11 AM to 2 PM. We'll have fun activities through out the night, as well as a great team of mentors from our community and from our sponsors standing by to help you. Dinner and breakfast will also be served. Is this a new idea? Has it been done before? How useful is this idea? Can we see it being used in real life? Is this idea technically challenging?